Pulaski on Main (POM) will unveil its new office space at 83 West Main Street on Friday, October 7 at 11:00AM. At an Open House event sponsored and catered by ETHOS Technologies, POM invites the public to visit the new space, which will be used as a resource center for current and potential residents and business owners. Utilizing all local talent and a limited budget, the office showcases the Town of Pulaski’s industrial heritage, agricultural appeal and technological capabilities. Throughout its two and half year growth and development phases, POM has been able to research and develop methods that will benefit Town business owners and residents. In March, Pulaski Town Council approved a proposal from POM to implement an organization that will assist and promote existing Town businesses and work to cultivate a new base of downtown businesses. By working with a diverse steering committee and the Town of Pulaski over the past six months, a business resource guide has been developed which provides direct access to applicable Town resource offices such as business license/tax information, zoning stipulations, and inspections, among others. A directory of Town businesses and vacant buildings has also been compiled for prospective or current business owners. Pulaski on Main will also provide new Pulaski Town residents with a welcome guide, providing easy access to information about utilities, trash collection, town office contacts, etc. Additionally, POM participated in Community U, a series of planning sessions facilitated by the Virginia Department of Housing and Community Development and supported by the Town of Pulaski, to develop a cohesive vision to support the Town’s future. 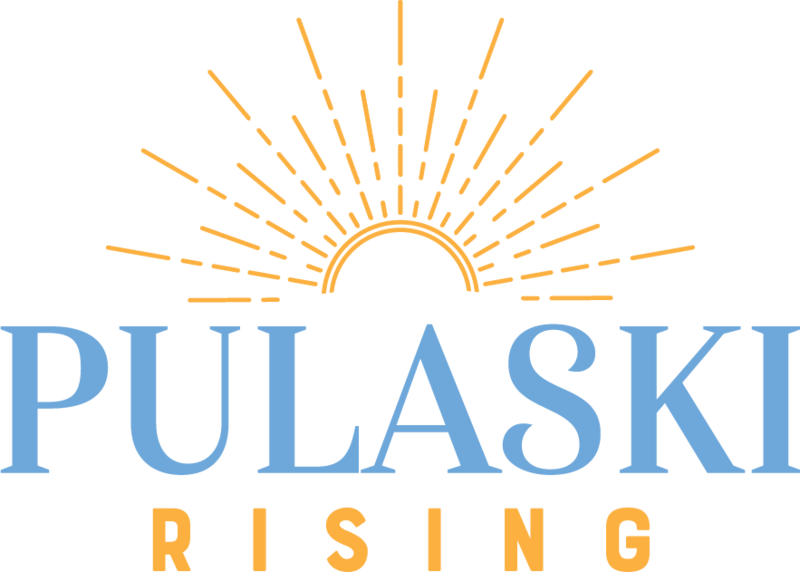 Pulaski on Main looks forward to working with downtown businesses and organizations to promote a vision of strength, unity, and progress as the Town of Pulaski transitions into a hub for recreation and entrepreneurship.